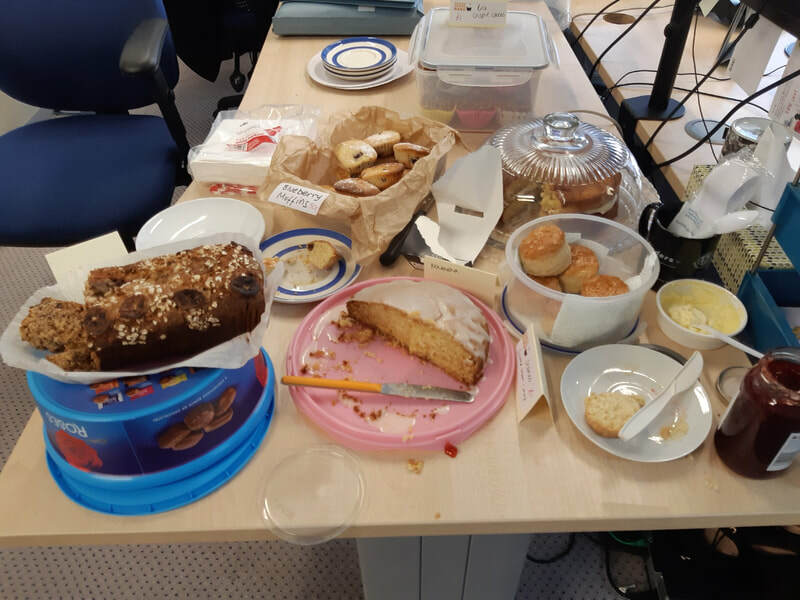 Great Legal Bake Week... It's finally here! 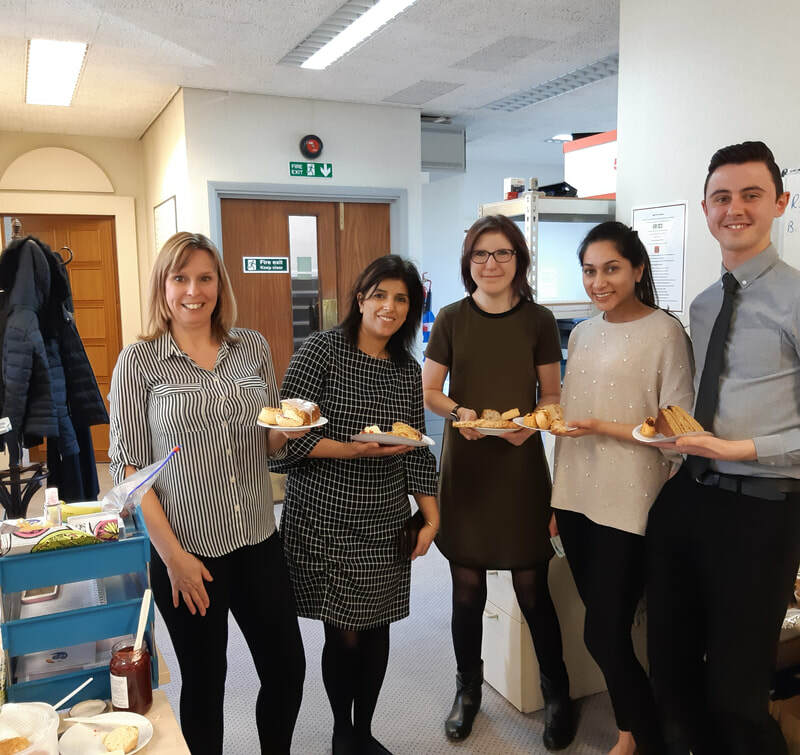 Great Legal Bake season has finally begun and we're off to a flying start! We're looking forward to eating some delicious treats and raising some dough for justice! There are Bakes taking place all over the country this week and we hope to see pictures of all of your yummy creations. Look at some of these egg-cellent bakes below! 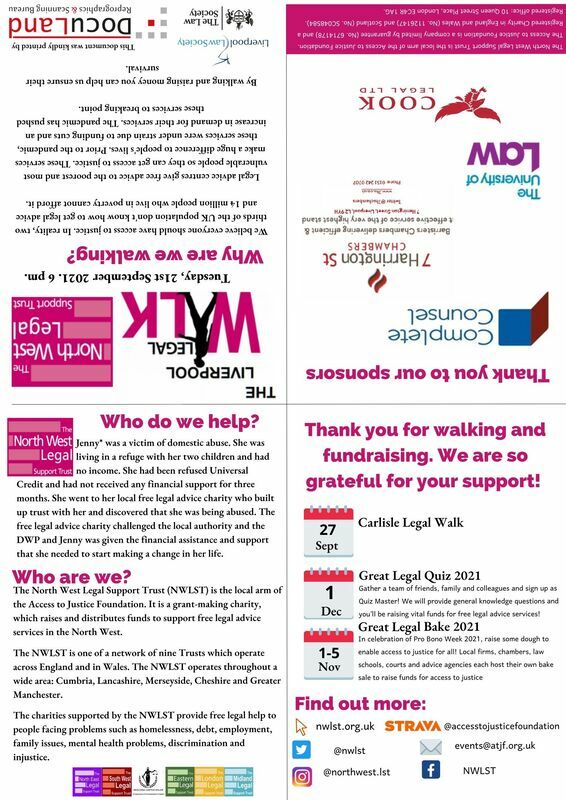 The ELST is extremely grateful to all the lovely people to step out and show us your support at the 2018 Chelmsford Legal Walk. 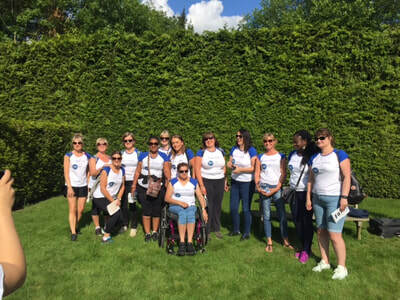 Whilst being slightly shorter, at 8km (instead of 10km like our other legal walks), the Chelmsford team held their own, with 11 teams and 82 wonderful walkers. We would also like to thank our sponsors, Fisher Jones Greenwood LLP and Trinity Chambers who teamed up with us to help put together a great event! 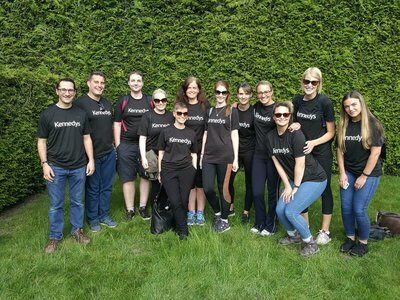 Walking to raise money for free legal advice service in the local and wider community, the charitable work of this year’s walk will go on to positively impact the Chelmsford area for the future. If you’re interested in aiding access to justice in the East, don’t worry- just because the walk is over, it doesn’t mean your chance to help has passed! Donate now! Cambridge looked glorious in the beautiful weather on the 11th of June (as many of documented on twitter through our photography challenge) during the course of the 10k legal walk. 16 teams turned out to follow our brilliant Senior Walkers: Dr Andrew Harter CBE- High Sheriff of Cambridgeshire, Judge Min Kyung KIM- all the way from the Daejon District Court of Seoul and Her Honour Judge Lindsay Davies- Circuit Judge. We are very grateful to you for leading the way! So far, our pledged donations total nearly £4,500! This is an incredible effort, and the support of all those who have raised money is greatly appreciated. Thanks to you, we are one step closer to the priceless aim of increasing access to justice for those who most need it, as the money raised by the legal walk will go towards sustaining free legal advice services in the Cambridge region. Once again, a big thank you to all those who got involved- we look forward to seeing you next year! Fingers crossed for the same sunny weather! On Thursday evening, an encouraging 25 teams (! ), collectively consisting of over 150 members (!! ), took to the streets of Norwich for this year’s Legal Walk. 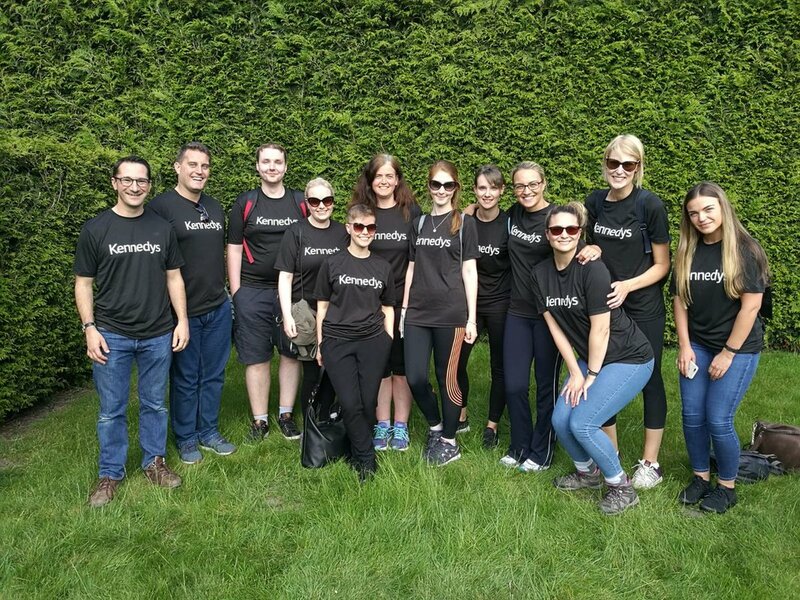 Special congratulations must go to Fosters Solicitors, who managed to scrounge up the largest team of walkers on the day, with 19 members. 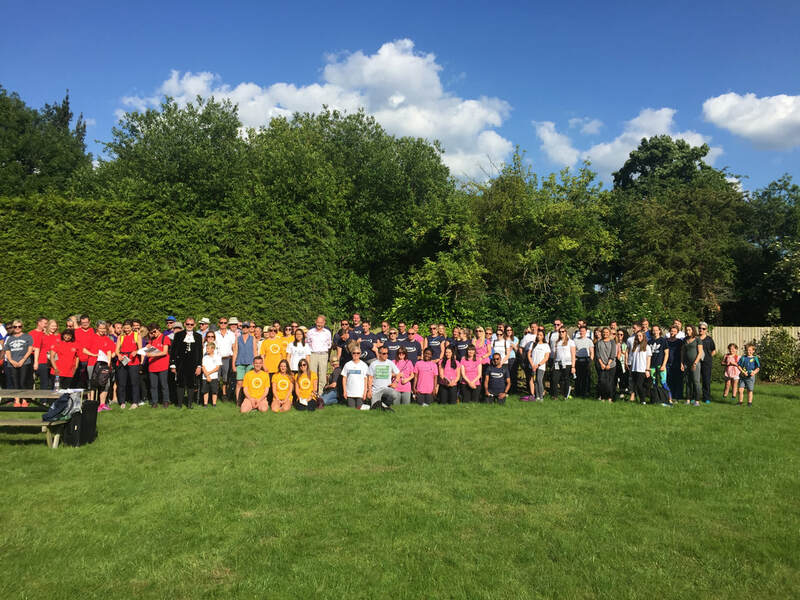 However, we at the ELST, would like to offer our heartfelt thanks to each and every individual who took part or contributed to make the walk such a charitable success. Nothing makes for a more cheery occasion, than like-minded people coming together, to walk and talk for the incredibly worth-while cause of increasing awareness and access to justice, by raising the vital funds required by pro bono legal services, in order to continue to help and support their local community. The team from Hatch Brenner can testify to this, scoring fish & chips from the local chippy along the way! The Norwich legal walk would not have been the same without its sponsor: Olsen Legal Recruitment Services, or its two supporters: the Norfolk and Norwich Law Society and Adnams Southwold Food & Drink, who all played a part in this fabulous events success. If you’ve been inspired to walk for the benefit of free legal advice charities in your area, why not check out upcoming ELST events here, to find out when the next legal walk will be taking place in a town or city near you! Have you dug out your walking gear and started stretching? We hope so as the St Albans Legal Walk is almost upon us, and we’re excited! If a day of sunshine (we hope! ), fresh air and philanthropy sounds like a good idea to you, there's still time for you to join and you can register here. Every year, the charities assisted by the St Albans Legal Walk help many people access justice and free legal advice. The charities are often the last resort for people facing challenging and stressful legal situations but without the resources to pay for private legal advice. Without the support of charities, sponsored by fundraising, many more people would be left alone and vulnerable, to negotiate the court and justice system without any help, advice or support. There are 12 teams signed up currently and a total of 33 walkers, with our biggest team coming from Rayden Solicitors. We can’t wait to see everyone at the start line, ready to help us raise important funds to support access to justice for everyone! So far the walkers have raised £195 altogether. This is a good start but we still need everyone to carry on fundraising so that we can reach our target of £5000. Special congratulations go to the biggest fundraiser so far, the wonderful Debenhams Ottaway team, who have collected £100 so far! 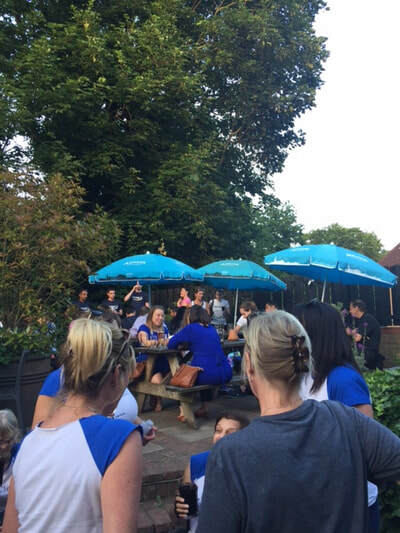 We’re very proud to announce that we have two charities walking with us on Tuesday 12th September, Citizens Advice St Albans District and Citizens Advice Welwyn Hatfield! Please help us to show support for the vital work they do for the local community by continuing to fundraise as much as possible! A big thank you to our supporters Hertfordshire Law Society. We are lucky to have their backing in continuing the work of the Eastern Legal Support Trust. We look forward to walking for justice and to have you join us for what looks set to be a truly enjoyable evening, made only better by the celebratory drink provided for all participants at the finish line. See you there! ​The Legal Walk season is just getting started here at the ELST. Our first Legal Walk event of 2017 was held in Norwich on the 15th of May where over 79 people came out in force and braved the dreary weather to walk 10k. We want to say a huge thank you to all of you who got involved and raised money to support the provision of free legal advice in your local area. Also, thank you to our brilliant sponsors and lead walkers all of whom have been incredible in helping make the event a success! 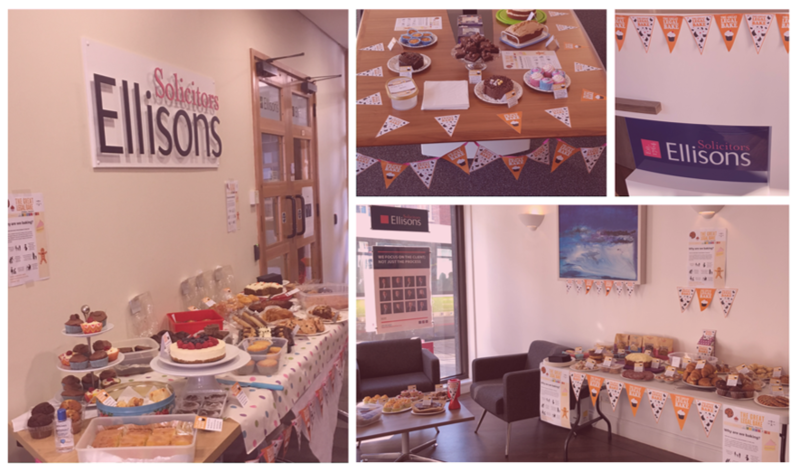 Not long now - we're excited for the Eastern Legal Support Trust Great Legal Bake! 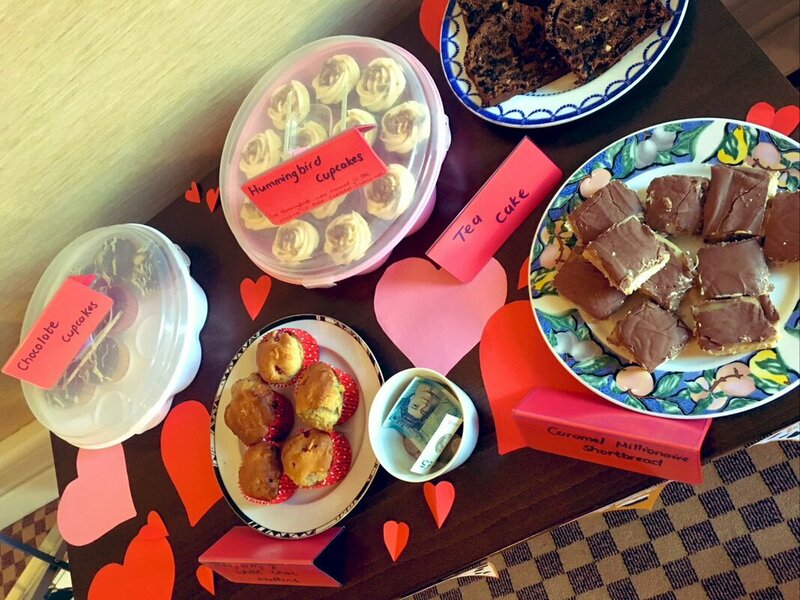 ​We are really excited about the Great Legal Bake coming up in just over one month from February 20th-24th. 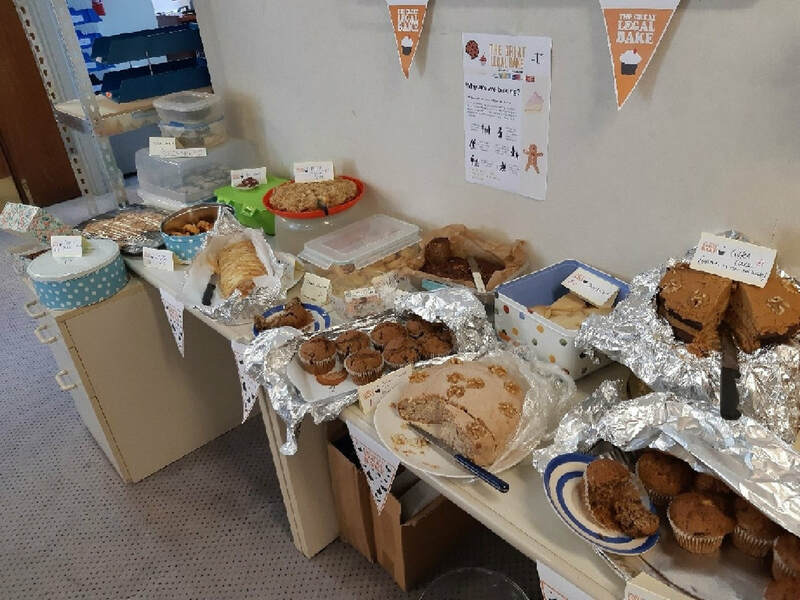 We already have 50 teams organised so far, all ready to bake and raise funds to support access to advice for all. 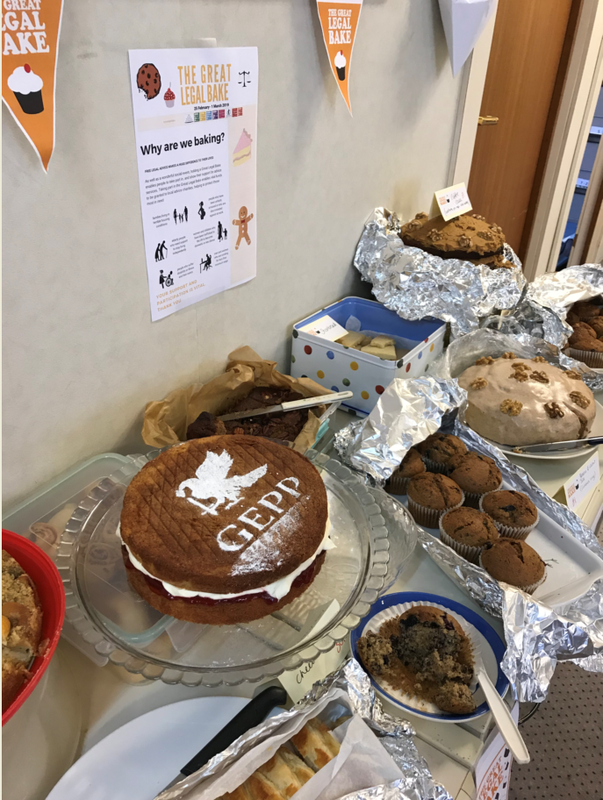 Last year we raised over £20,000 in baking efforts, and are looking forward to surpass that amount in baking extravaganzas this year. 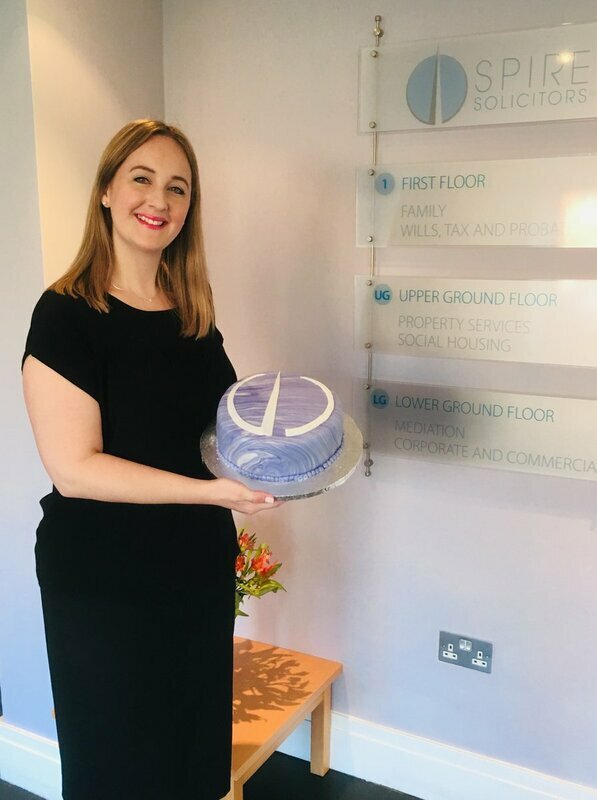 The Eastern Legal Support Trust was established to support the provision of free legal advice in Cambridge and the East and the Great Legal Bake is an important part of our fundraising activities. The organisations we support make a huge difference in the lives of many people. The recent cuts to legal aid and reduced household income for many working families has increased demand for free access to specialist legal advice and it is more important than ever that the poorest and most vulnerable people in our community have access to such support. For example, the trust has supported projects such as the Public Law Project which included gaining "exceptional funding" necessary to prevent breaches of fundamental rights.